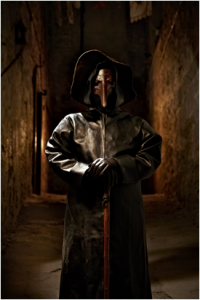 Allow us to take you back to the summer of 1645, the worst outbreak of the plague is ravaging Edinburgh and just to make matters worse it has also taken the life of the city’s first Plague Doctor, John Paulitious. Thousands of people have died, in fact it is believed that at the height of this plague there were only 60 men left to defend the city. Due to overcrowding within the city walls the plague spread like wildfire, with fleas on the backs of rats transmitting the disease. Two types of plague hit Edinburgh, killing around half of those that contracted it. The pneumonic plague attacked the lungs, causing coughing which resulted in massive internal bleeding which turned the skin black, hence the name the black death. 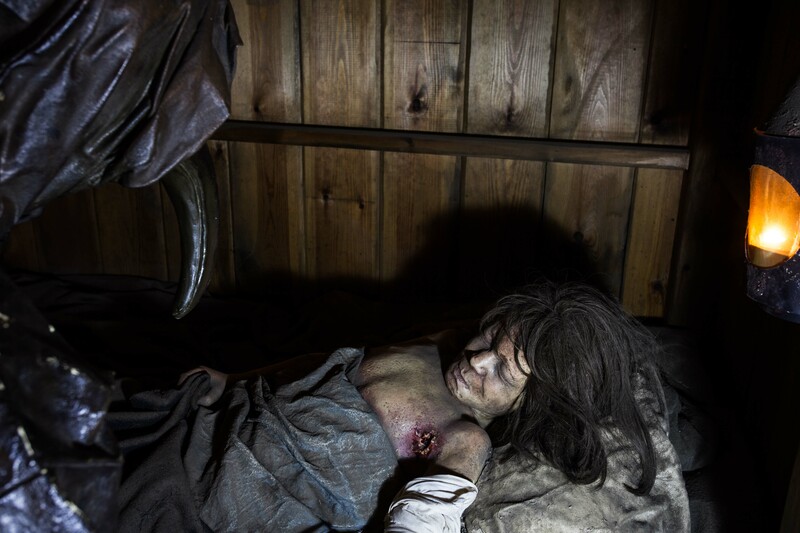 Then there was the bubonic plague, which caused the sufferer to break out in buboes or boils. These boils were filled with pus, and if they were not treated they would swell to the size of an orange and burst, poisoning the poor sufferer’s blood and often resulting in death. Those suffering with the plague were confined to their homes and instructed to hang a white sheet from the window, they would then be visited by the Plague Doctor. 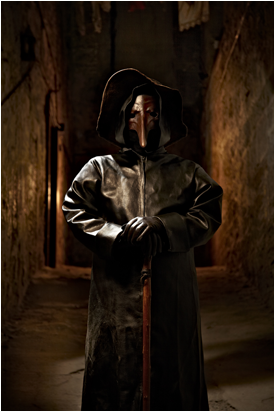 On the 13th of June 1645 Edinburgh’s second Plague Doctor was appointed, his name was George Rae. Dr Rae was considerably more successful than his predecessor in that he lived through the plague outbreak and treated many people, venturing into plague ridden houses to treat the sick. With the limited and dangerous treatments available at the time, Plague Doctors did all they could to cure the sufferers. This often involved the lancing of the boils to allow the poison to run out. When the wound had been cleaned out it would be cauterised shut, thus sealing and disinfecting the wound. Dr Rae wore a fairly terrifying outfit to protect him from the airborne miasmas which at the time were believed to cause the plague. A long cloak kept the infectious air from his skin, and he wore a beak like mask which was filled with spices and rose petals to prevent the miasmas from entering through his nose (although they also would have kept the terrible smell away). Although we now know miasmas were not the source of the plague, Dr Rae’s outfit still did its job and protected him from flea bites, meaning he survived the plague… however his troubles were not over. As the Plague Doctor wasn’t expected to live through the outbreak, the council got a shock when the time came to pay the large salary which Dr Rae had been promised. Dr Rae spent the ten years that followed the last outbreak of ‘foul pestilence’ in Edinburgh fighting to be paid, and it is widely believed that he died without ever receiving the money. Without George Rae many more citizens of Edinburgh may have fallen victim to the plague, in fact we think he was quite the hero.